The Children Act (film, 2017). A 2017 drama film with "R" rating by A24/DirecTV Cinema/Entertainment One. Directed by Richard Eyre. Official Trailer. The Children Act is a 2017 drama film directed by Richard Eyre. 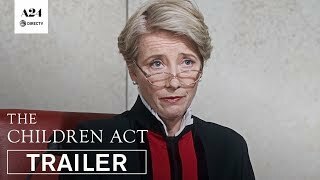 The Children Act | Official Trailer | A24. Fiona Maye is a judge in the Family Division of the High Court of Justice of England and Wales. A case is brought before her involving a 17-year-old boy, Adam Henry, who is suffering from leukemia. Adam's doctors want to perform a blood transfusion, as that will allow them to use more drugs to cure him. However, Adam and his parents are Jehovah's Witnesses, and believe that having a blood transfusion is against biblical principles. Fiona goes to the hospital to see Adam. The two talk, with Fiona attempting to determine what it is that Adam really wants, and whether he has been persuaded by his parents. Adam starts to play "Down by the Salley Gardens", which Fiona then sings. Adam is very drawn to Fiona, and begs her not to leave. Fiona nevertheless leaves, and returns to court. She rules that, as a matter of law, Adam's welfare is the "paramount consideration" and declares that the medical treatment, including blood transfusion, may proceed despite the absence of Adam's consent and that of his parents. Meanwhile, Fiona's marriage is failing. Her husband, Jack, has said that he wants to have an affair with a colleague. He has become tired of Fiona constantly working and never having time for him. He says that he will have an affair, but is being totally open about it. He claims that he has never stopped, and will never stop, loving her. He packs his bags and drives off. She carries on with work without making contact and changes the locks. He returns after two days. After letting him in, Fiona acts very coldly towards him, resulting in an argument between the two, after Fiona is seen to have been to the office of a divorce solicitor. 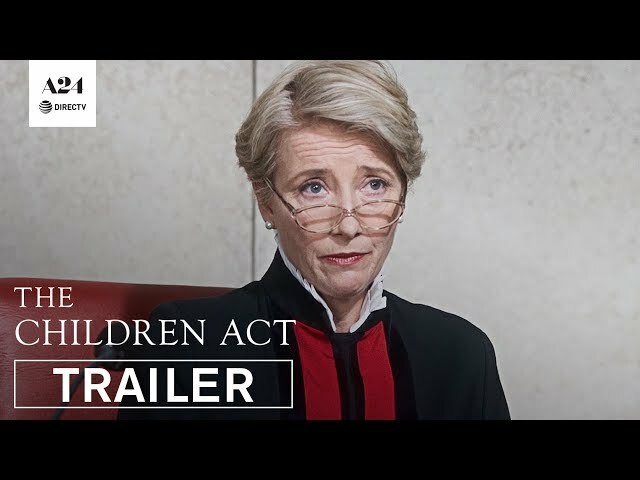 The film The Children Act was scheduled to be released by A24, DirecTV Cinema and Entertainment One on September 9, 2017 (TIFF), on August 24, 2018 (United Kingdom) and on September 14, 2018 (United States). The duration of the film is 105 minutes. The film grossed over $11.6 million. The Children Act got high rating from critics. The audience also likes the film.